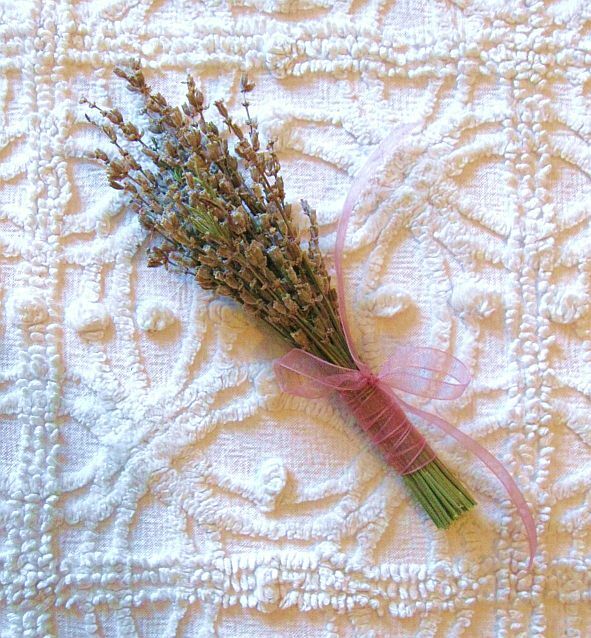 As I was wrapping the ribbon, I wondered what lavender means in flower language. I already knew the destination of the bouquet, so I was looking forward to looking up the meaning, whatever it would be, it would be telling or appropriate or ironic. Isn't that the way all messages are? I squinted, but I couldn't spot it. Oh I can just smell the lavender scent. Love the bed spread. I really love lavender and have a plant that is slowly coming of age. Very pretty. Happy Blue Monday. Awww....so pretty! I am jealous that lavender doesn't grow well in this humidity.